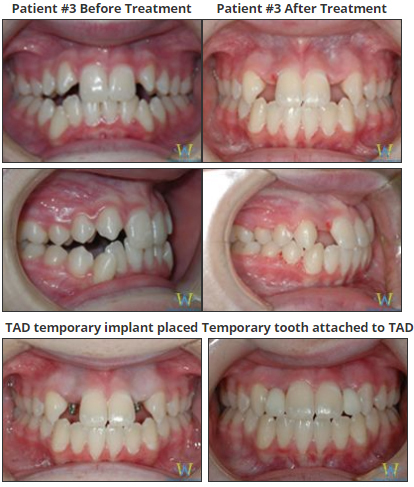 Retention Plan: Placement of TAD (Temporary implant) in missing permanent teeth sites with attached temporary crowns to serve as an alternative solution to the typical artificial teeth attached to a removable retainer. 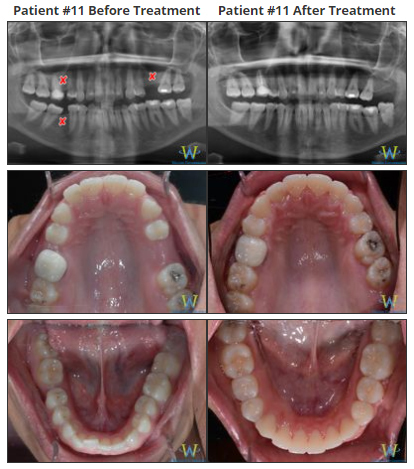 Phase 1 treatment to correct anterior crossbite and open space for eruption of permanent upper right canine tooth (see red arrow). 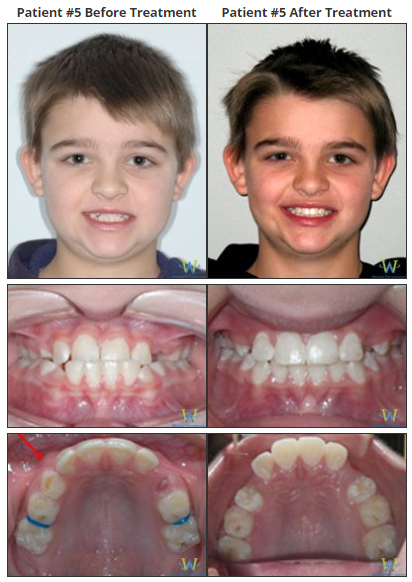 Phase 1 treatment of upper jaw only moved upper front teeth out of crossbite, opened sufficient space for permanent canine tooth to erupt (preventing the need for probable permanent teeth removal in the future), improved midline, and made it possible to speak and eat normally. 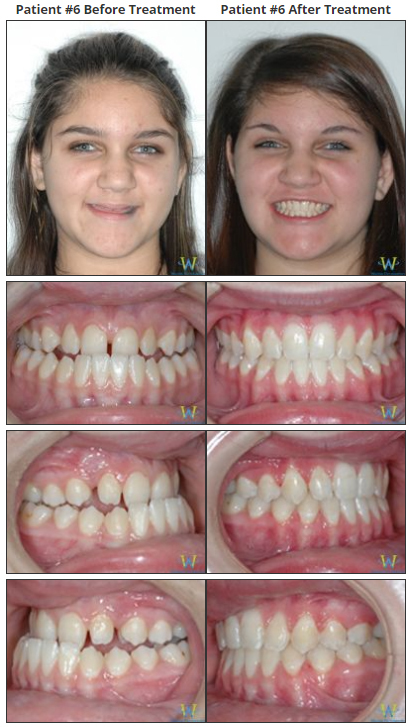 12 year old female with Class III underbite, bilateral posterior crossbite and blocked out permanent upper cuspid teeth. 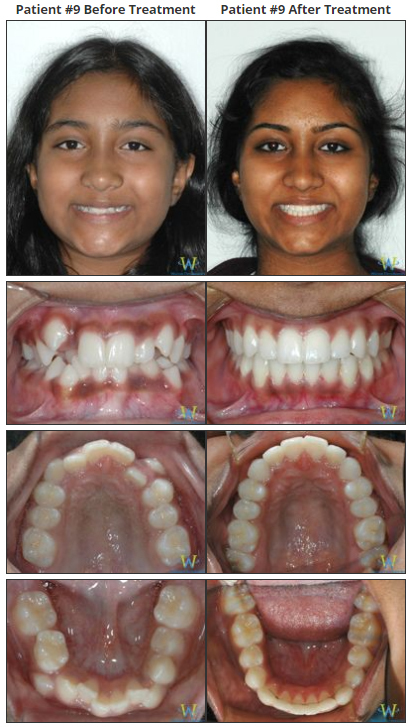 Utilized light force Expander along with Facemask. 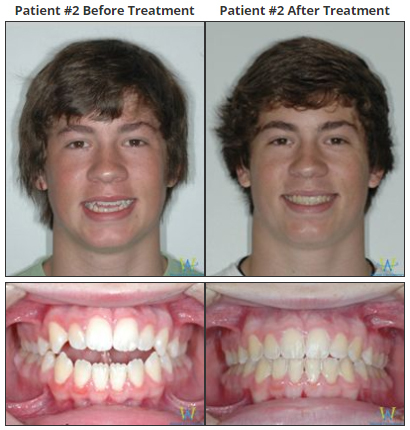 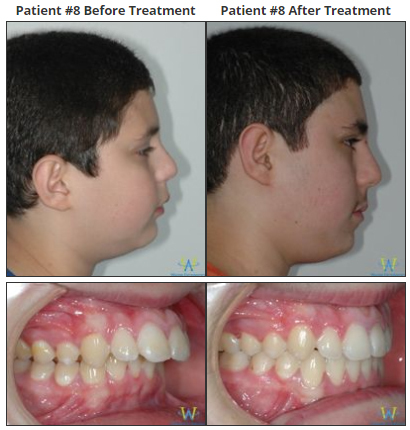 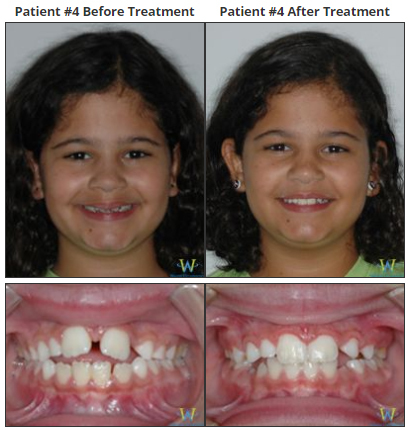 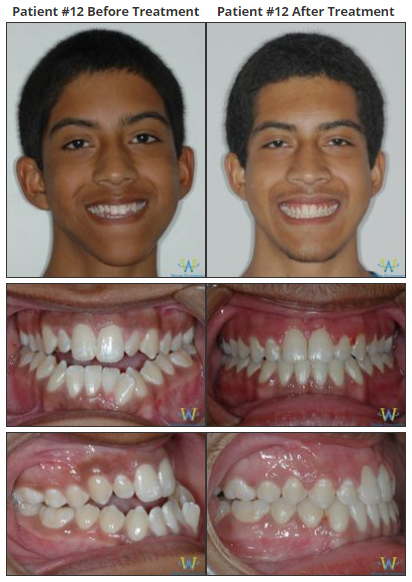 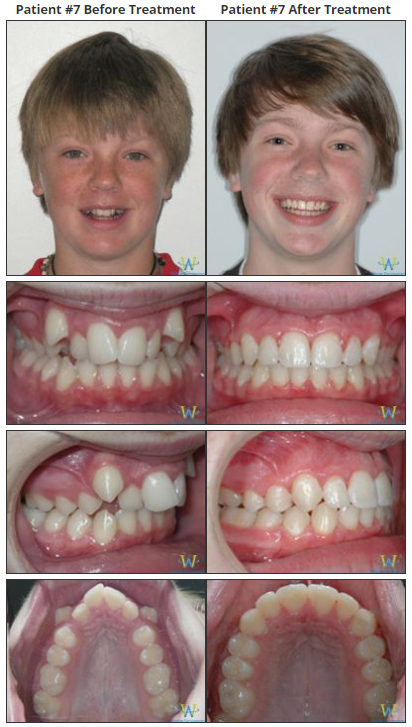 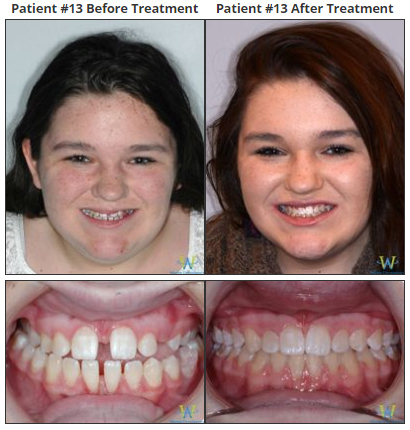 Note the post treatment improvement in Smile esthetics. 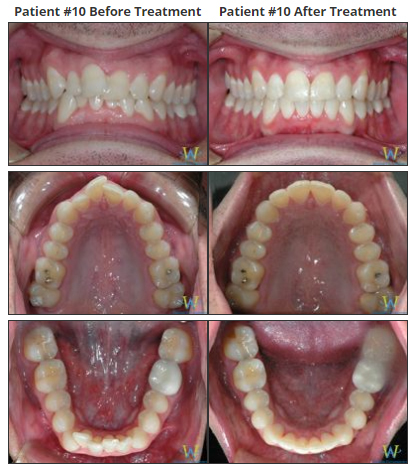 Advanced treatment protocols used to close spaces due to multiple missing teeth (see red “X’s” in Xray above) in 27 year old female. 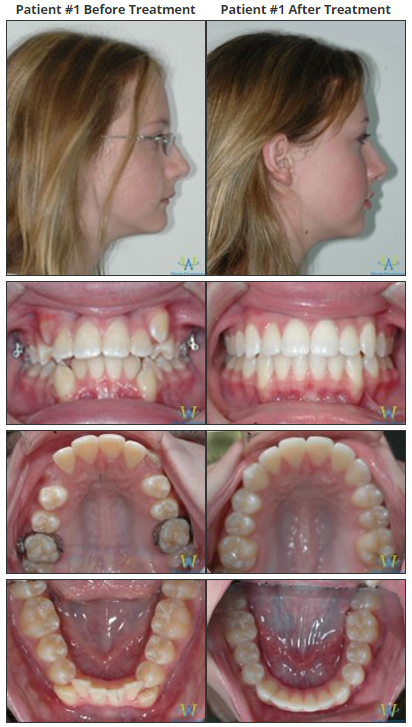 Goals: To avoid the expense of multiple implants and crowns.